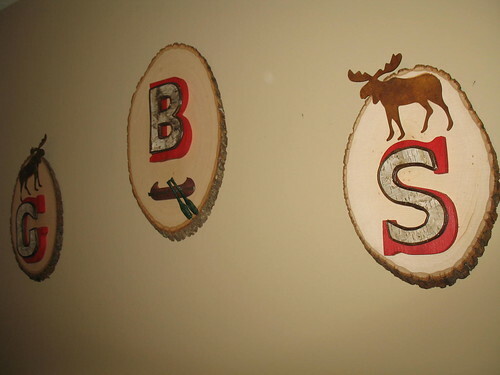 When I was pregnant with my son I made some wall letters for his moose and bear themed nursery. Everybody who has given birth in the past ten years seems to put the child’s name or initials above the crib. Who am I to buck that trend? But instead of doing the popular wall words on a ribbon, I decided to make something a little bit more rustic for my son’s Great North Woods themed nursery. They were very easy to make, and the end result was a one-of-a-kind wall decor that I feel gave his nursery a little bit of character. First, attach the sawtooth picture hangers to the backs of all three of the wooden basswood plaques. Try to center them up as level as possible. Each wooden oval is different, so you’ll probably have to eyeball it. You’ll want to do this first so the surface is flat while you hammer them into the wood. Next, paint the wooden letters with several coats of the acrylic paint, let dry. I used the large size oval in the center and flanked it with the two smaller oval plaques. 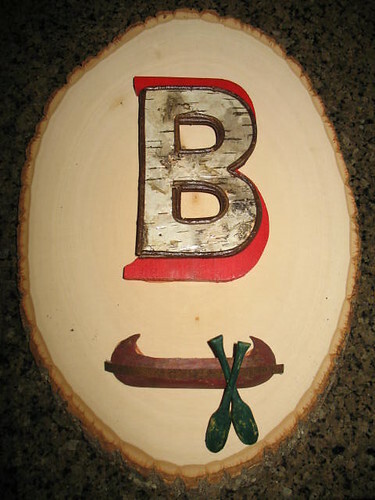 That meant the “B” (last name initial) went on the large center oval with the “G” and “S” on either side. It is a good idea to put them all together first without any glue to see how the placement looks. 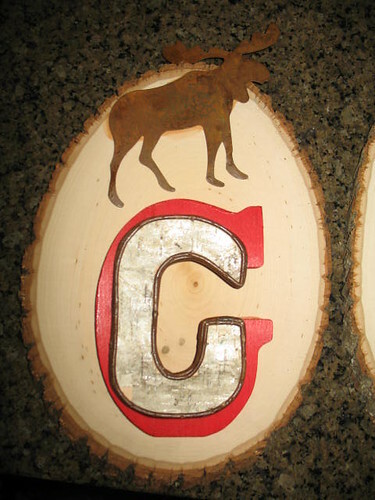 After all that is settled, Hot glue the painted letters onto the wooden plaques first. 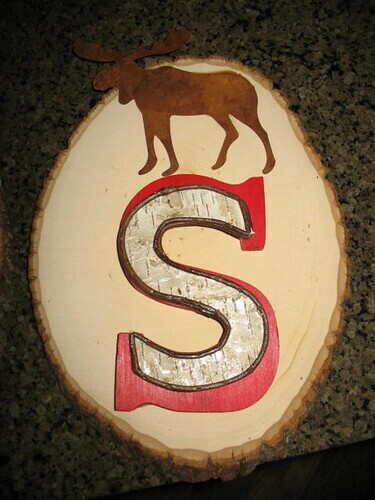 Then hot glue the birch bark letters on top of the painted letters, then attach the moose and canoe to the individual plaques. The canoe oars come separately so make sure they are glued in the position you like. Have fun with it! ! Please don’t forget to enter my Earthborn Pottery Artisan Dinnerware giveaway! The drawing will be held on Wednesday, March 17th at 10:00 pm. Good luck everyone! Your sons nursery is so cute!! I would love to see more photos of it. I love the barn red furniture! My sons nursery has a woodland animals theme. But I plan to transition it to a Northwoods theme as he gets a little older. I’ve already started buying moose and things and am storing them. That is so cute! 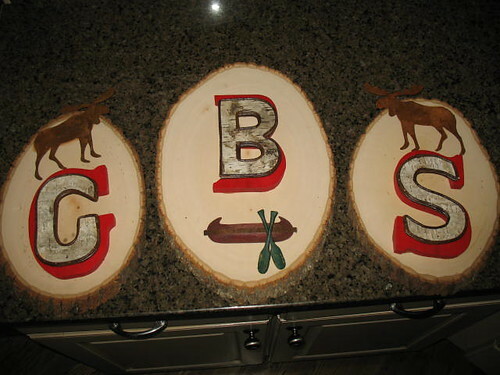 I am about ready to make-over my son’s nursery into a rustic/cabin big boy room. Thanks for the inspiration. Your son’s room is so cute!! 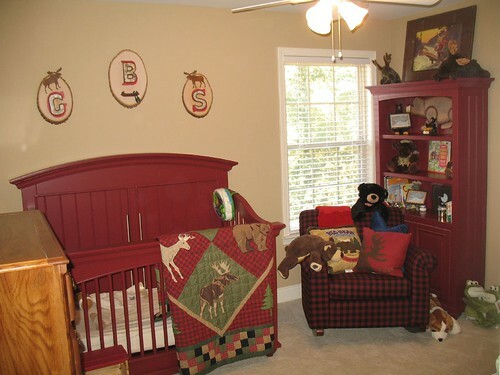 Your son’s nursery has to be one of the cutest I have seen. If we had had boys this would have been the PERFECT theme to have done since my hubby is a hunter. I LOVE the red, it is definitely not typical of most nurseries, what an excellent job you have done. I love Garrett’s nursery. And I like the initials you did. They go perfectly with the room! Ok Beth-just found you and I really wish that we lived next door to each other! You my friend are a crack up and I loved reading your blog! This one of a kind decor is absoulately darling! You rock girlie!! You rock! Love your fellow unskinny utah friend! So cute. I like it a lot. Great look- just my style! 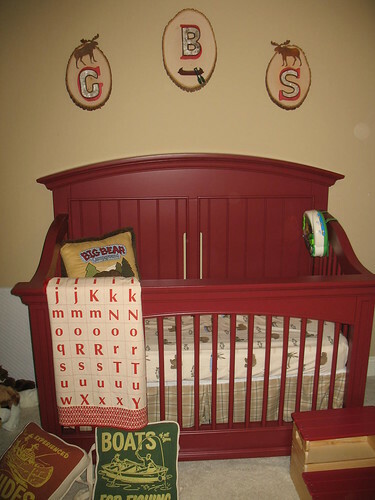 Can you tell me where you bought your red crib, cabinet , and chair? N.- the crib and bookcase are My Haven Collection by Stanley Young America in Chili Pepper. http://bit.ly/i8S1Lx The chair came from JCPenney.com. Oh my goodness…where did you find the bedding & pillows? I have been searching and searching for this kind of a nursery and cannot find it anywhere. I am so glad I came across your site! Love love love it!! The colors are perfect. 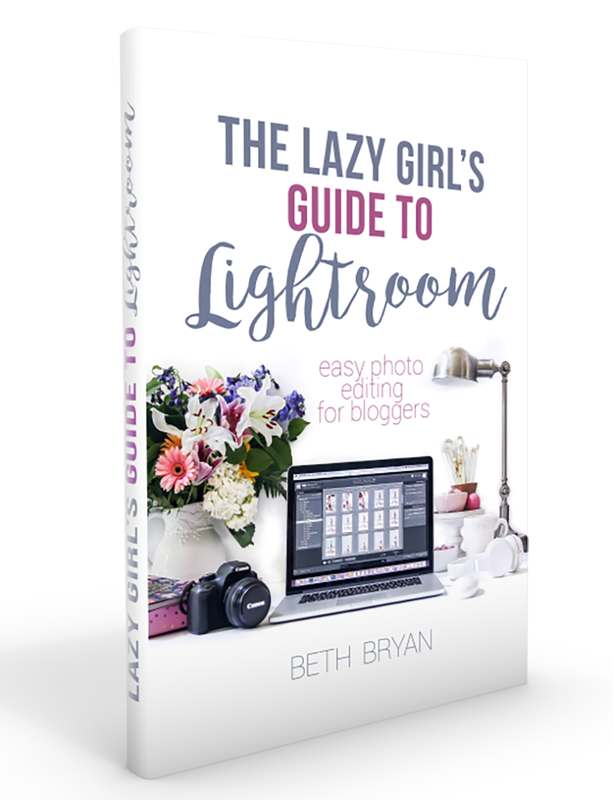 I’m a new follower, thanks for linking up to Roomspiration today! WHERE did you find that bedding! I’m SO in love with it! !